A central Philippine province declared a state of calamity on Tuesday as a volcano spewed lava that reached the limits of a six-km radius no-go zone and spread ash on nearby farming villages. Mount Mayon, the most active volcano in the Philippines, continued to erupt on Tuesday forcing nearly 35,000 people to evacuate. While the recent eruptions have been relatively weak, scientists warn that they could turn explosive at any time, according to the Associated Press. A thick ash cloud around the volcano has made monitoring its eruptions difficult and also caused ash to settle on nearby villages. Lava flows on Tuesday also forced police to set up checkpoints to keep tourists a safe distance from the volcano. While currently at a level three warning, an upgrade to level four would result in forced evacuations across a larger impact area. In an attempt to keep local villagers from returning to their homes to check on farm animals, officials have planned to set up evacuation areas for animals, including water buffaloes, cows, pigs and poultry, according to Office of Civil Defense regional director Claudio Yucot. 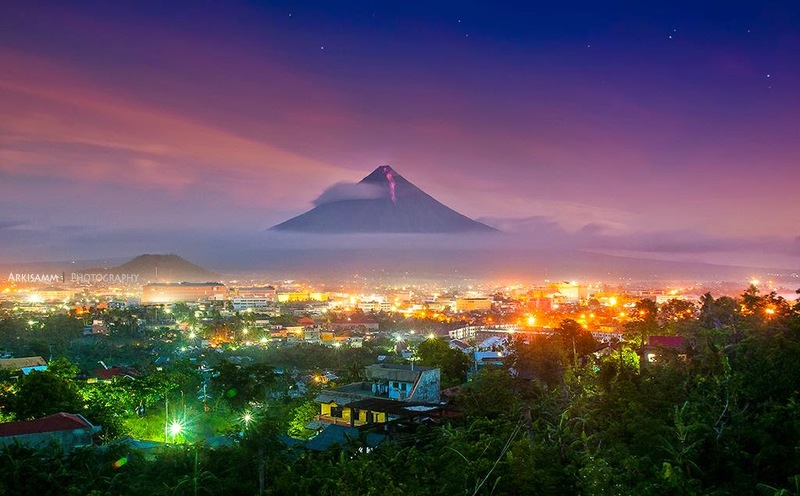 Despite being a popular tourist attraction, Mount Mayon has erupted around 50 times in the past 500 years. The 2,460-metre (8,070-foot) Mayon, has a long history of deadly eruptions. An eruption in 1814 killed 1,200 people and buried an entire town in a volcanic mudflow. A larger scale eruption could result in more widespread evacuations and travel disruption as the volcano sits less than 16 km (10 miles) from Legazpi City, the capital of Albay province. To exaggerate the problem continuous heavy rains recently could lead to volcanic mudflows (lahar flows). Daily showers and localized downpours are expected across the area through at least Thursday. Any downpours will heighten the risk of flooding and mudflows around the volcano.